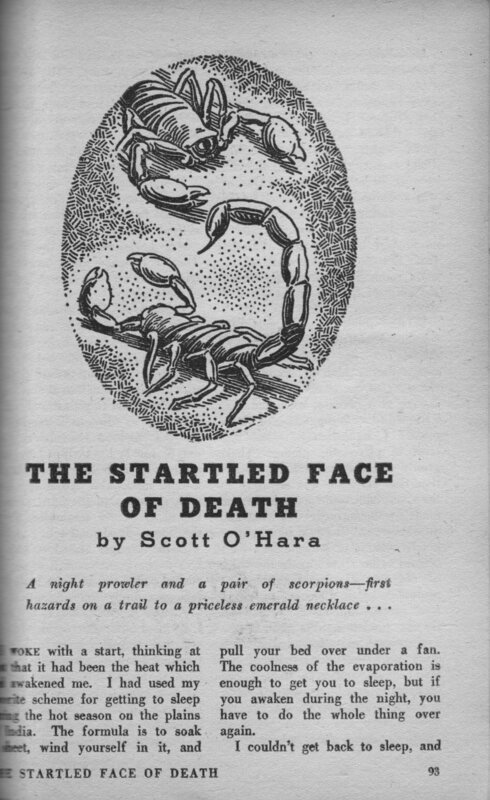 The Trap of Solid Gold: "The Startled Face of Death"
It's ironic that the two collections are called THE GOOD OLD STUFF and JDM tried to update them and make the stories THE GOOD NEW STUFF. I guess JDM was just blind to how good some of his pulp work was; it certainly did not need to be updated. 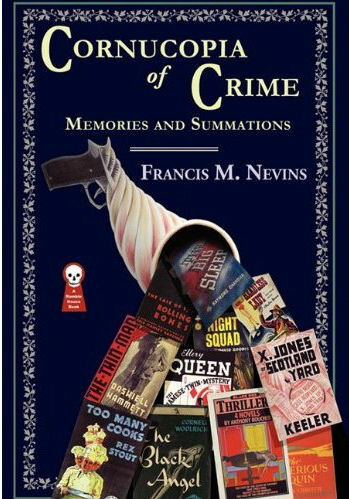 I'm reminded of how Erle Stanley Gardner and Fred Nebel refused to let Joe Shaw include their pulp fiction in his excellent anthology, THE HARD-BOILED OMNIBUS. 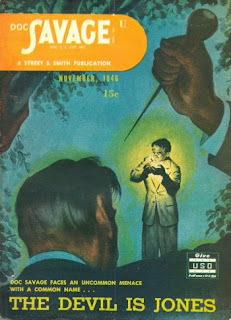 They thought their pulp work was dated and not worth reprinting. I could understand MacDonald wanting to change stilted language or a glib ending here and there, but all he did was change the time period. He said he did it to prevent confusion, but it only confused things more. Possibly the dumbest thing he ever did in his career. Ultimately I think MacDonald was a deeply insecure writer, who dealt with his insecurities by forcing on himself a grueling work ethic and by producing mountains of product. 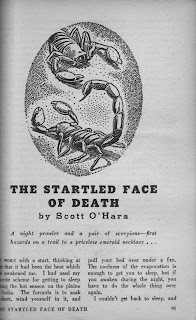 He once burned (supposedly) a million words of unsold stories (although many survived)and would probably have burned all of his early pulp work if he had had the chance. If I recall correctly, MacDonald makes a point of saying he made some changes to ALL of the stories in the introduction to one of the books. (My copies are in storage, so I can't check.) My working assumption has always been that copyright was lapsed or at least fuzzy on many of the old magazine appearances, and by publishing the revised versions he was making sure nobody could steal the new versions. I have exactly zero evidence for this, of course; but it feels right to me. He would not have been the first writer to revise something to solidify a lapsed copyright claim and he wouldn't be the last. "I have made minor changes in all [emphasis his] these stories, mostly in the area of changing references which could confuse the reader. Thirty years ago everyone understood the phrase 'unless he threw the gun as far as Carnera could.' But the Primo is largely forgotten, and I changed him to Superman." There is no reference to copyright issues, and I know that during the sixties MacDonald renewed and acquired the rights to most of his early work. I'm not quite ready to give up my theory completely. Some publishers never correctly copyrighted their books. So while MacDonald may have acquired what there was to get I'm sure there is some material where there was nothing meaningful to actually get at that point. Back then copyright was not automatic, you needed to submit it to the library of congress. Not all magazine publishers actually did. As far as him not mentioning it; if he was worried enough about the possibility of people stealing his stories to change them the last thing he would do is explain that the originals were technically up for grabs. I could be completely wrong, of course. But the books came out shortly after the stories would have originally come up for renewal, so the issue might have been on his mind.